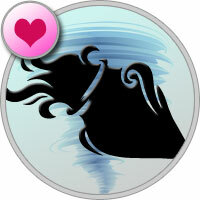 You’re a rebel when it comes to love on March 1 thanks to Venus visiting your rule-breaking sign. The riskier the better. The possibility of getting caught is a huge turn-on! Your power planet, unique Uranus, teams up with predictable Taurus on the sixth, leaving you to wonder how things are going to go from here. Compromise is going to be the key to solving a lot of relationship dilemmas now.